People browse the internet on a daily basis. It has moved from being a novelty into a necessity for most people. Most office jobs nowadays require some access to the internet in order to do research, send communications, or validate inventories. The range of tasks that can be done over the internet is very wide and so is the range of tools available. Even a single task like browsing has a lot of competing software available. Two of these are Internet Explorer and Firefox. Internet Explorer is a program developed by Microsoft to be included in every Windows operating system that is sold. It is the most widely used browser due to the fact that has been around the longest and it is included with Windows and most people do not bother with finding another one. The features of Internet Explorer are pretty basic and straightforward, and most of the time you won’t have to do anything special in order to use it aside from installing plug-ins. 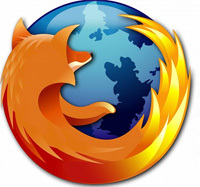 Firefox is an internet browser from the software maker Mozilla. It is the primary threat to the dominance of Internet Explorer since it holds the biggest market share next to Internet Explorer. It is also preferred by most people who have tried it due to the fact that it is more stable and faster than Internet Explorer. It is also one of the first browsers to offer tabbed browsing that cleaned up the taskbar, unlike IE that opened a lot of windows and cluttered the taskbar. One great advantage that Firefox has over IE is the fact that it has an eager community behind it that creates a lot of add-ons that are compatible for Firefox. These add-ons extend the capability of Firefox and make it a lot more customizable to the user. When you come to think of it, it all boils down to preference. If you are not bothered by the less than stellar performance of IE and you don’t want to go through installing a new browser then IE should be your best bet. It already comes preinstalled and you would only need to download patches every now and then, which IE should automatically do. But if you don’t care about the added hassle of installing a new browser and you prefer to be up to date with the most recent features then you should look into Firefox. It is updated regularly with security patches and new features which you might like. Ben Joan. "Difference Between Internet Explorer and Firefox." DifferenceBetween.net. August 24, 2009 < http://www.differencebetween.net/technology/difference-between-internet-explorer-and-firefox/ >. This review is not worth a flip.